Floral prints are not just a thing of Spring and Summer, but can also be transitioned into Fall. 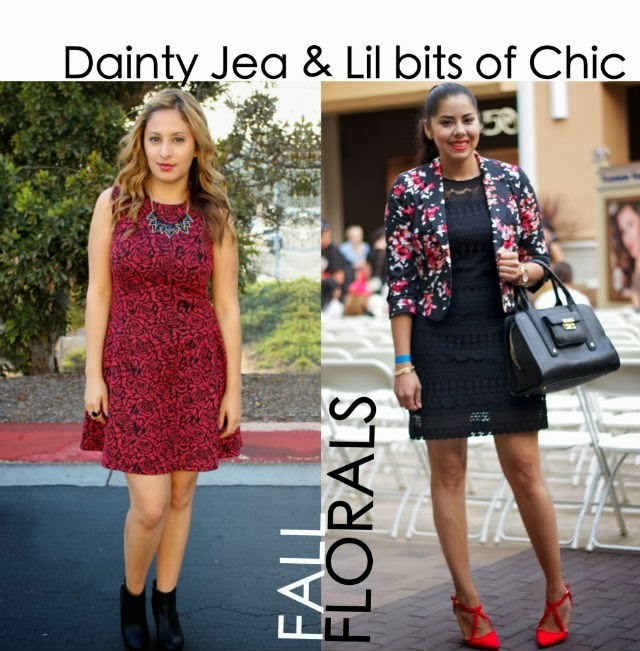 Dainty Jea and I show you two ways to incorporate florals into your Fall Outfits! Dainty Jea shows you that pairing up a floral dress with booties and a moto jacket easily transitions the dress into Fall. I paired up my floral blazer (previously seen here in Spring) with a timeless black lace dress. Not only is the floral blazer good coverage for a windy day, but it also becomes the pop of color to the outfit. 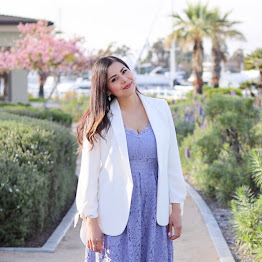 Pairing your floral piece (dress/ blouse/ blazer) with other Fall pieces can instantly take your look from looking Summery to looking ready for Fall look- let the floral piece be the pop to the outfit. About the Outfit: Wallis Dress c/o, Forever 21 blazer (similar), Charlotte Russe Shoes, 3.1 Phillip Lim for Target Purse, Michael Kors Watch. You look great Paulina, I love the floral blazer. Beautiful outfit! That blazer is such a great piece! Love the floral blazer with lace dress. Beautiful combo Paulina! You are a vision of elegance in this look Pau! Love the mix of textures, those heels are super fab! You look stunning! Love the mix of textures as well and also the red as your pop of color. This color looks gorgeous on you. Gorgeous! That blazer is so beautiful. The shoes!! so hot!! you look gorgeous my dear! Your floral blazer is gorgeous! I think it's the perfect addition to make any summer outfit ready for fall. Thanks for the style inspiration! gorg outfit! i love my pl purse too! xO! Mas divina imposible!!! me encanta el blazer y el toque de color de los zapatos. Vas perfecta mi Pauli! !